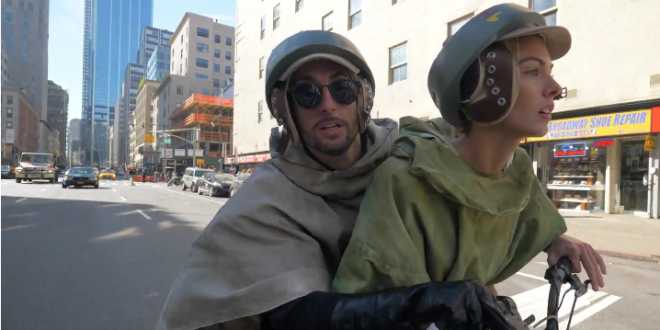 YouTubers Jesse Wellens and Casey Neistat win Halloween with these custom levitating Star Wars speeders. For those familiar with Star Wars Episode VI: Return of the Jedi, Jesse and Casey have reenacted the famous speeder chase scene of Luke Skylwalker, Princess Leia, and a few not-so-lucky stormtroopers. Although it gives the appearance the speeders are levitating, the filmmakers had added mirrors that hide the wheels to give off a hovering look when riding by.